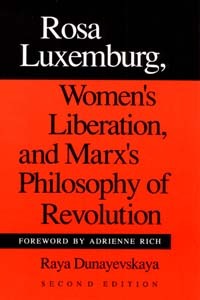 Editor’s note: Marking the publication of writings by Dunayevskaya on Marx’s philosophy of revolution in permanence, we present parts of a Dec. 13, 1981, lecture in which she gave an overview of this concept in relationship to her just-completed book, Rosa Luxemburg, Women’s Liberation, and Marx’s Philosophy of Revolution. …Marx was seeing in Hegel’s Absolute a new beginning. What he was breaking with was that, in Hegel, Absolute meant some sort of God. What he was accepting was self-development, self-determination, self-transcendence, in the sense that it all comes from inside. The revolutionary nature—whether it’s in you as an individual, or whether it’s in the nations that will fight for freedom—is there…. Look at what Marx was writing at the end of his life, after he had finished Capital. Think of it—he spends 25 years working out Capital, his greatest theoretical work; and its greatest part is “The Historical Tendency of Capitalist Accumulation.” (The idea he developed there was that capitalism develops to this point and then finally collapses; and that since the capitalist lands are the technologically advanced world, they will show the backward world its path.) Now he says that was true only of West Europe. It is not a universal. The Russians could escape that horror of capitalism if they had a revolution and saw to it that it was related to the other revolutions. THE QUESTION ALWAYS WAS: What is the relationship of revolution in your own life, in the life of your country, in your international life, and in the world revolution? And what is the relationship of your activity to a particular thought—whether that be against capitalism, or against feudalism, whether it be against the old relationship, or the new relationship, of Man to Woman? What he had laid as a trail for us, therefore, was that the question of permanent revolution was not something that happened only in 1848 or 1850, or even in 1871 with the greatest revolution of his lifetime, the Paris Commune; it was also in the 1880s, when there was nothing like that happening. What he was saying was that there might be something happening if the Russians really had a revolution. The so-called backward countries, instead of being the ones that would be “shown the light” by the advanced, would themselves show the light to the world. 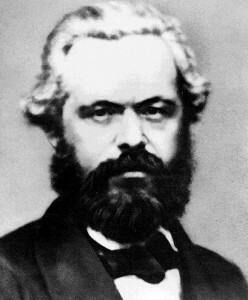 POST-MARX MARXISTS have not only kept hidden the various writings of Marx so that each generation has had to discover a new work that hadn’t been known before, whether that be the 1844 Humanist Essays, or the 1857 Grundrisse, or the full 1872 French edition of Capital that all reveal Marx’s return to Hegel. But what do we find Marx doing in 1882-83? He is returning to what he had done from the very beginning—when he said that even if you forget the class struggle you still would have to see what a miserable society we have when man can treat woman, the one he loves, so miserably. Something is so wrong we have to get rid of it not only by overthrowing it but by transforming it into totally new human relations. It is that new moment—that return to the questions he raised in 1844, that return also to what is the historical tendency of capitalist accumulation—where we pick up Marx’s Marxism and show that it wasn’t only the betrayers who deviated. That’s easy to expose. But it was also those who weren’t betraying, but who were separating the philosophy of revolution from the actual revolution. Let’s conclude today, therefore, with where the book [Rosa Luxemburg, Women’s Liberation, and Marx’s Philosophy of Revolution] ends—with “A 1980s View.” And that has to start with where I started today—with Poland. It is actually East Europe in the 1950s where a new movement from practice was born that was itself a form of theory and therefore demanded very different answers—not only for how to attain a new unity of theory and practice, but a new relationship in that unity. The East Europeans in the 1950s were asking about what Marx meant by a “new Humanism.” They said that can’t be an abstraction; it has to be very concrete. And the concrete is that the Communism which claims to be Marxism is the exact oppressor; and you have to fight against that which exists. That’s the very first thing Marx began with when he called for the “ruthless critique” of that which is…. THE ABSOLUTE CHALLENGE TO OUR AGE is precisely the 1880s trail Marx left for us to realize. But we have to work very hard to realize it. What we have developed out of what we saw in the 1950s with new forms of workers’ revolts, and in the 1970s with the new types of revolutions, is what we have documented in the Marxist-Humanist Archives. By now, 1981, the Archives of Marxist-Humanism in the United States number 7,000 pages1These archives in the Raya Dunayevskaya Collection, now over 17,000 pages, can be found online at www.rayadunayevskaya.org. —Editor alongside the basic theoretical works of Marxism and Freedom, from 1776 until Today; Philosophy and Revolution: From Hegel to Sartre and from Marx to Mao; and the new work on Rosa Luxemburg, Women’s Liberation, and Marx’s Philosophy of Revolution. This entry was posted in Articles and tagged 1844 Economic-Philosophical Manuscripts of Karl Marx, Absolute Idea as New Beginning, Capital, From the writings of Raya Dunayevskaya, G.W.F. Hegel, Grundrisse, Hegel's Absolutes, Historical Tendency of Capitalist Accumulation, Man/Woman relationship, Marx’s Philosophy of Revolution in Permanence for Our Day: Selected Writings by Raya Dunayevskaya, Marxist-Humanist archives, movement from practice that is itself a form of theory, new human relations, new humanism, new moments, Paris Commune of 1871, post-Marx Marxists, Raya Dunayevskaya, revolution, Rosa Luxemburg Women's Liberation and Marx's Philosophy of Revolution, Russian Revolution, trail to the 1980s. Bookmark the permalink.